Aerotech News and Review - Serving the aerospace industry. Published every Friday. Air and Space Smithsonian Magazine - Created as an extension of the Smithsonian Institution's National Air and Space Museum. The magazine's charter is to convey the adventure of flight and space travel to an audience with a special interest in the history and technology of aerospace. ASDNews - Aerospace and defence business news. Asteroid Articles - Asteroid news. Astrobiology Magazine - From NASA. Aviation Week - Aviation, defense and space news. Daily Galaxy, The - An ecelctic text and video presentation of news and original insights on science, space exploration, and the environment and their reflections in popular culture. Defense-Aerospace - Aerospace, defense and military news. Defense Daily Network - Network for aerospace and defense provided by Defense Daily, a leading daily publication for business leads and market intelligence in land, sea, air, and space defense initiatives. Defense Systems Daily - Defense and aerospace news daily. Directory of Open Access Journals (DOAJ) - Free, full text, quality controlled scientific and scholarly journals, covering all subjects and many languages. 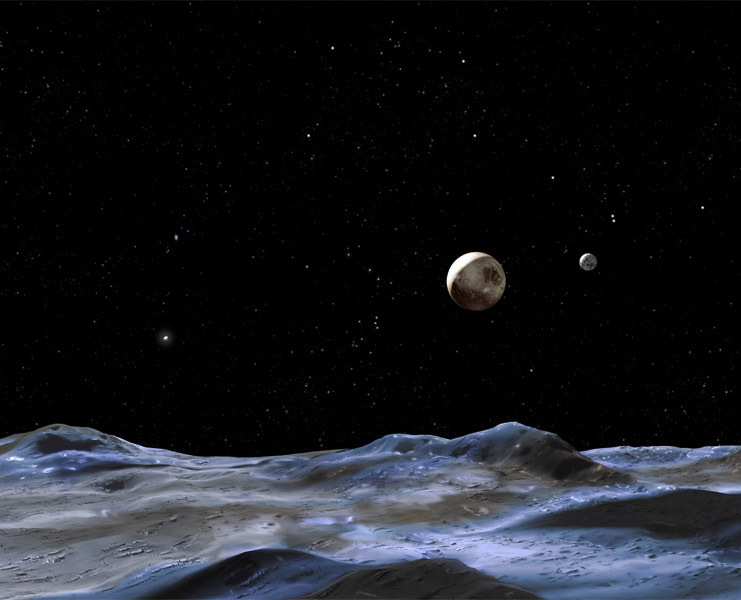 DiscoveryNews: Space - Explores the solar system and beyond, NASA, space probes, and the search for alien life. ESA: Life in Space - European Space Agency space news. Frontier Status Report - Dale Gray's weekly annotated index chronicling the progress of the emerging space frontier. Independent Science News (ISN) - The two aims of ISN are to call attention to defects in science and in the science media and to remedy them as far as possible. Inside Defense - News service covering defense, national security and aerospace industry. Jonathan's Space Report - Weekly report describes all space launches, including piloted missions and automated satellites. LiveScience - Developments in science, space, technology, health, the environment, our culture and history. Mars on Earth - In July 2002 SpaceRef Interactive installed a greenhouse (the Arthur Clarke Mars Greenhouse) on Devon Island as a contribution to the NASA-SETI Institute Haughton Mars Project (HMP). The greenhouse is dedicated to noted author Sir Arthur C. Clarke. The ACMG is intended to further the biological science and life support technology required to eventually support humans on Mars. Martian Chronicles, The - Ryan Anderson blogs on the geology of Mars. Monthly Notices of the Royal Astronomical Society (MNRAS) - Research journals in astronomy and astrophysics. Publishes the results of original research in positional and dynamical astronomy, astrophysics, radio astronomy, cosmology, space research and the design of astronomical instruments. NewScientist: Space - Space news. Planetary Society - News and information about the exploration of the universe. Popular Science - Science and technology news since its inception in 1872. Quest: The History of Spaceflight - Quarterly magazine written by professional and amateur space historians and interviews with key figures and visionaries. SatNews - A weekly updated web magazine containing up-to-date information on the commercial satellite industry. Other features include links to hundreds of other satellite websites; important information on satellite companies, satellites and operators; a calendar of industry events; financial and technical analysis; telecommunications facts and figures, and more. SciCheck - FactCheck.org's SciCheck feature focuses exclusively on false and misleading scientific claims that are made by partisans to influence public policy. It was launched in January 2015 with a grant from the Stanton Foundation. Science Codex - Science news: genetics, astronomy, astrophysics, quantum physics, evolution, paleontology, geophysics, global warming, climate change, geology, anthropology, policy, medicine, psychology, brain, neuroscience, microbiology, chemistry. SEN TV - The vision of SEN (Space Exploration Network) is to create a global space television network. SEN provides space news and information on the science, economics and government of space. Space - Latest outer space, space flight, and astronomy news. Space Daily - Portal to space. Space News - Civil space, military space, commercial space and satellite communications business. Space Newsfeed - Provided by Microcom. Space Review, The - In-depth articles, commentary, and reviews regarding all aspects of space exploration: science, technology, policy, business, and more. Space Safety Magazine - A quarterly print magazine and a daily news website, jointly published by the International Association for Advancement of Space Safety (IAASS) and the International Space Safety Foundation (ISSF). Focuses on safety related issues affecting space as well as safety on Earth from space events and objects. Space Travel - Space tourism, space transport and space exploration news. Space War - Military and defense space news. SPACEandTECH Digest - A weekly roundup of the latest space news of interest space industry professionals. SpaceDaily - Portal to space news. Spaceflight Now - Breaking space news, launch schedules, mission reports, astronomy. 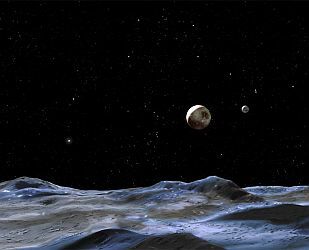 Universe Today - Space and astronomy news. Also see Guide to Space. Yahoo! Astronomy and Space News - Astronomy and space news coverage. This webpage last updated on Monday, April 17, 2017 12:20 PM.